I sat in the middle of this black volcanic riverbed eight years ago. I sat here speechless rubbing the black sand through my fingers and toes, and listening to the loud rushing water drown out the entire world around me. I felt small. I felt like I was inside a magical snow (rain) globe, and I would have happily stayed tucked inside there forever. 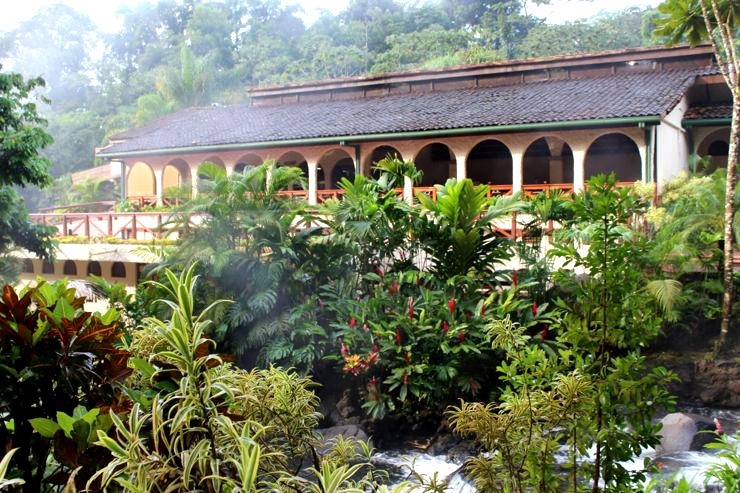 Eight years ago my husband and I bought a day pass to the Tabacon Hot Springs and that experience has been vividly painted in my mind forever. I knew that if I ever had the opportunity to go back, I would jump at the chance. So, when a few of my girlfriends came to visit me a few weeks ago, I knew I had to take them there. 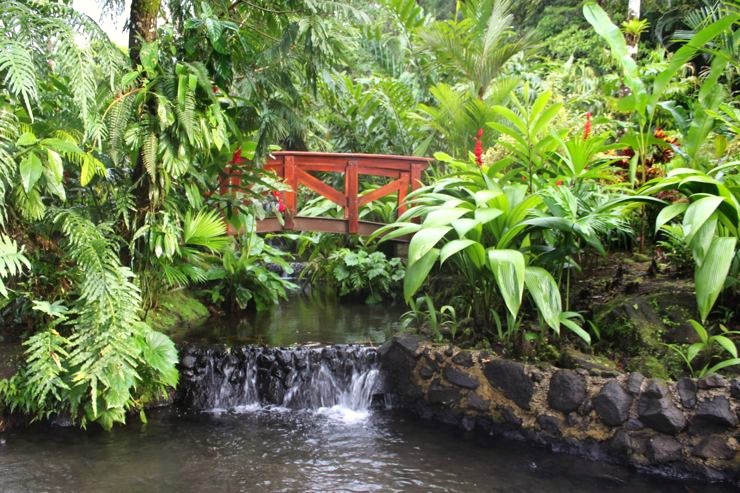 The Tabacon Hot Springs is nestled in the hills near Volcano Arenal just about a 3-hour drive from either the Liberia airport or about a four hour drive from San Jose. 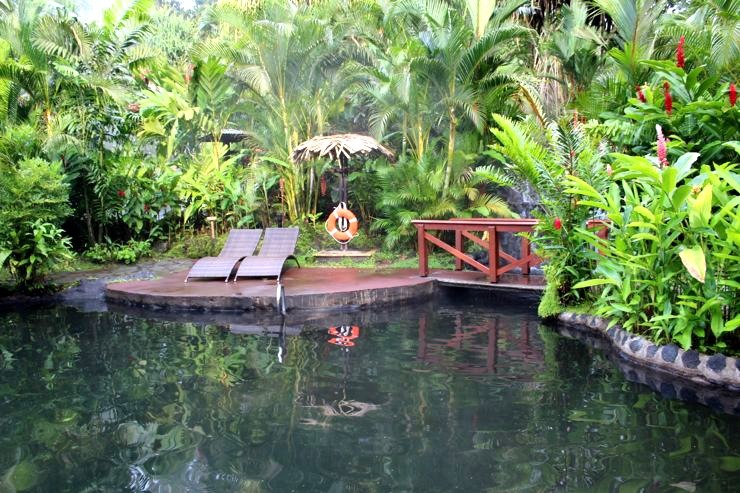 This property is a sanctuary for couples and it is one of the top honeymoon spots in Costa Rica. In fact, it was probably one of the most romantic nights of my life eight years ago. I highly recommend the couples massage with the private jacuzzi out in the rainforest. Even if you are not on honeymoon or traveling with your soul mate, there are plenty of groups and families too, so don’t worry you won’t feel uncomfortable at all. 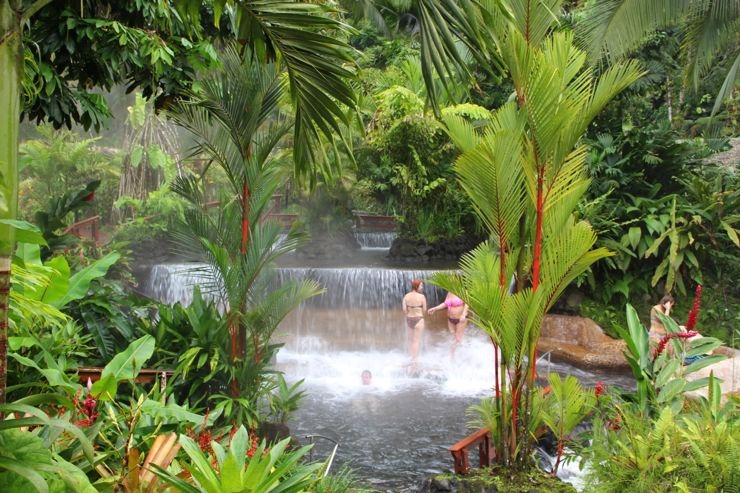 This may not be uber kid friendly but if your children are older (6+) they will enjoy getting lost searching for all the hidden pools, getting crushed by the waterfalls and splashing in the riverbeds with all the black volcanic sand and rocks. However, I would not recommend this for babies or toddlers. 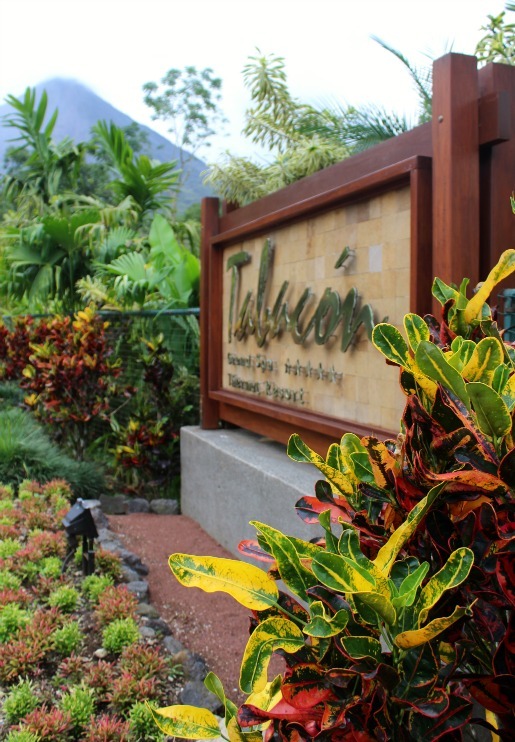 We stayed at the Tabacon Hot Springs Resort & Spa for three nights and when you stay at the hotel you have full access to the hot springs all day and night. So if you are thinking of buying a day pass and staying somewhere else, just be sure to do the math, it might be the same to just stay onsite, which is what we did. I saw a great deal through Hotels.com since it is was low season in Costa Rica, so it was a steal. 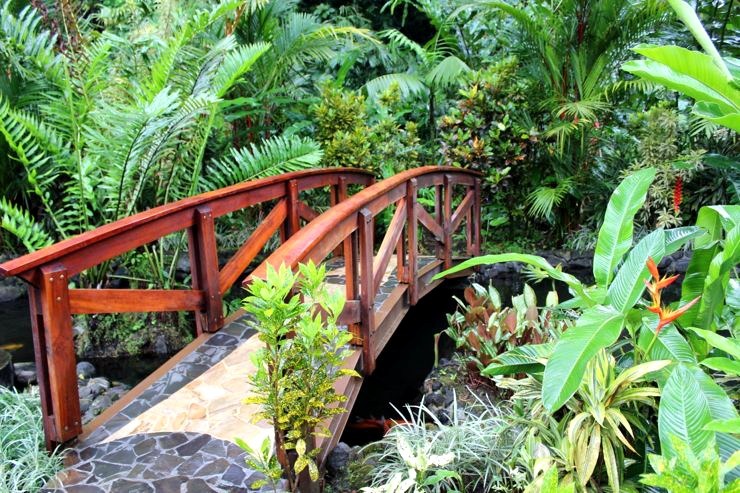 Visiting Costa Rica in September and October can save you a lot of money, sure it’s rainy season but it’s also one of the most beautiful times to visit. The hotel is actually across the street from the hot springs and spa, but they have a shuttle service to take you there or it is just a short and beautiful walk down the hill to the entrance to the hot springs. 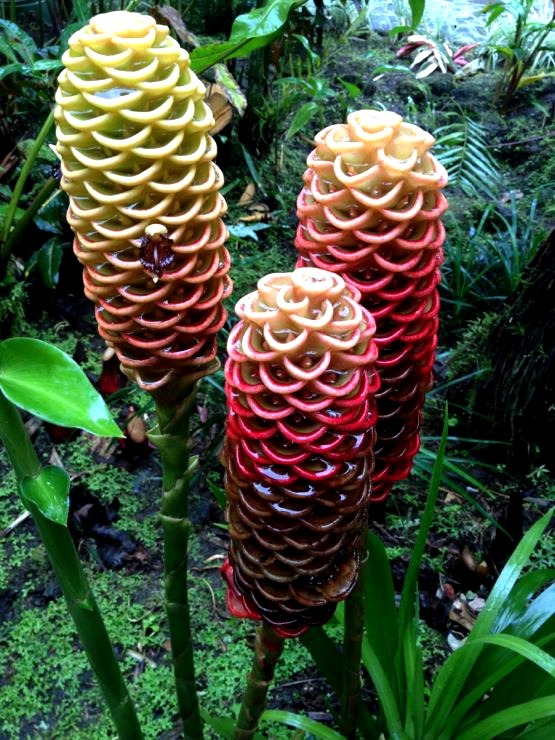 The hotel is surrounded by lush green grounds and has some of the most unique flowers I’ve ever seen, we took a photo walk one morning and snapped some incredible photos. The rooms are pretty standard with a little sitting area and there is also a pool and jacuzzi on the hotel property. Once you arrive at the hots springs and spa they will provide you with towels and lockers. There is a swim up bar and water slide in the first pool and a restaurant with a full menu or you can order the buffet, which has plenty of delicious food, we loved it so much we had the buffet twice. 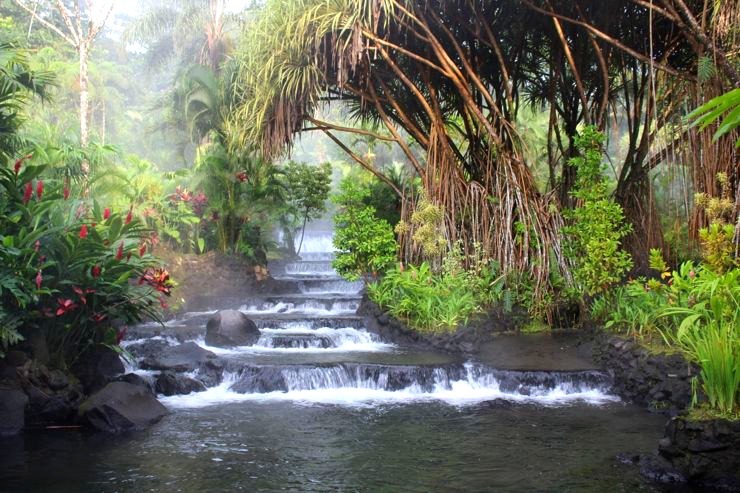 I went back to Tabacon Hot Springs expecting to find the same enchanting place I had experienced eight years ago. 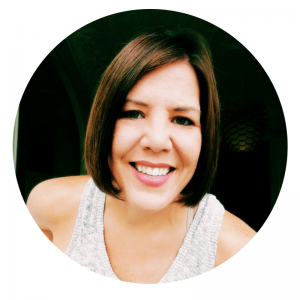 I was anxious to rediscover that magical feeling all over again and hoping my second experience would live up to my first, and that it wasn’t just all a figment of my imagination. From the minute I arrived and put my toe in the first warm pool it was as if I had never left. There I was again sitting in in that riverbed with the beauty of Costa Rica closing in around me.